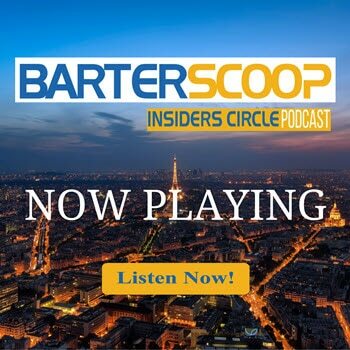 Listen to "All things possible with Barter! Show #1" on Spreaker. In today’s episode we’re going to share with you some creative ways on how to strategically use barter to better your business and personal life. By preserving your cash and thinking barter first you improve your cash flow and lifestyle. So, if Cash is King, Barter is Queen. Why you should look at barter the same way you look at cash.